Ask for help - we can't wait to assist. Book your Caribbean cruise with us & qualify to earn our exclusive travel vouchers - simply email cruises@southafrica.to a writeup & photos of your cruise and we will send you a voucher to discount your next one booked with us. Caribbean Cruise packages from South Africa are a bit more expensive than Mediterranean cruise packages, because of higher flight prices, but there's nothing which beats these idyllic island destinations. Contact our friendly cruise consultants at cruises@southafrica.to and we'll put together a package of flights, accommodation and a cruise. This will usually involve a flight to Miami from Cape Town or Johannesburg (expect at least one stop), a night at a hotel before your cruise, and then flights back. The high level choice you'll want to make is whether to see the western, eastern or southern Caribbean. Southern Caribbean cruises are usually longer and visit ports such as Antigua, Barbados, Grenada and Saint Thomas. 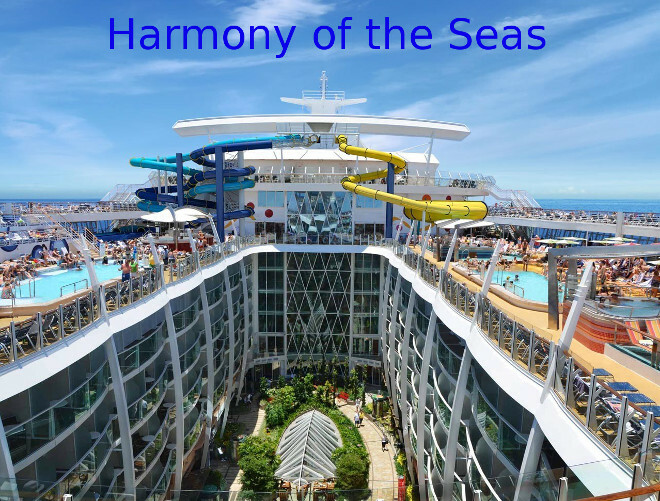 Eastern Caribbean cruises visit Puerto Rico, Saint Martin and Saint Thomas; and usually include more days at sea. Western Caribbean cruises visit the likes of the Cayman Island, Cozumel, Jamaica and Key West; and are great for those wanting to squeeze in as many stops as possible. In St Thomas watch your wallet- pick pocketing is rife on the island. At St Lucia catch a cab to Pigeon Point & soak up the sun on Reduit Beach. You'll be disappointed in your visit to Belize unless you do an excursion. When visiting islands don't wear your cruise card around your neck, as it makes it easy for thieves to identify you...similarly, don't wear a lot of jewelery. MSC Cruises's MSC Divina ship is now based 100% of its time in the Caribbean. 6 Nov 2017. News from Virgin Gorda - MSC Cruises has donated a semi-permanent building which can be used temporarily by the Bregado Flax Education Centre. MSC has Virgin Gorda as a regular stop on its cruises. 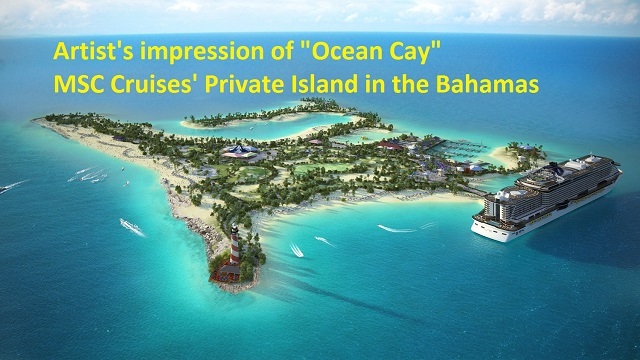 In Nov 2018 MSC plans to open an island which is exclusively for the use of their ships and passengers, called "Ocean Cay", which will become the largest private island in the Bahamas. MSC owns a 100 year lease over the island, which was signed in Dec 2015. The island will be a cruise destination for the MSC Opera, MSC Armonia, MSC Divina and MSC Seaside. Other private islands are Royal Caribbean's "CocoCay", Disney Line's "Castaway Cay" and Norwegian Cruise Line's "Great Stirrup Cay:.